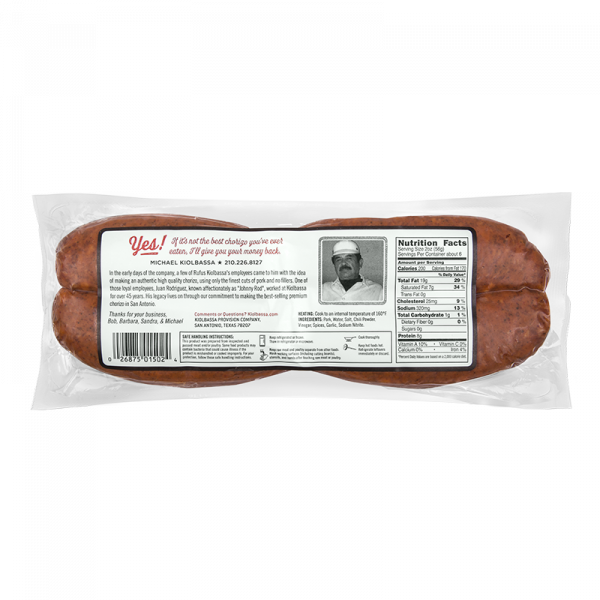 Here’s a staple of our many loyal San Antonio fans: all pork Mexican style sausage. 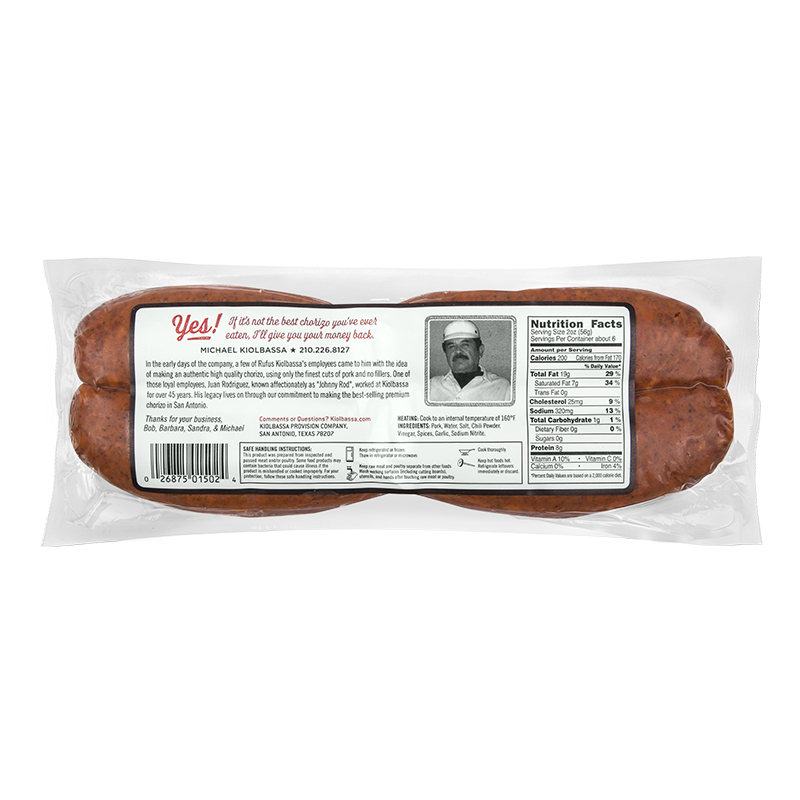 We use fresh whole muscle pork and the finest spices to create this traditional southwestern favorite. 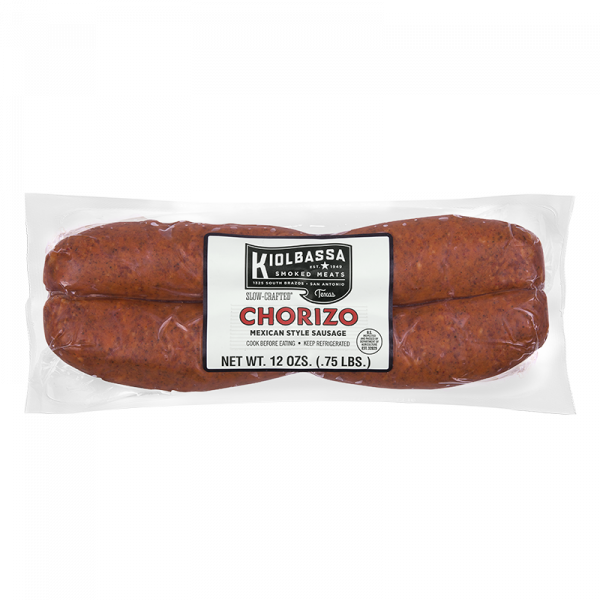 Kiolbassa Chorizo is so well-loved, it’s like a part of our family – because it is! 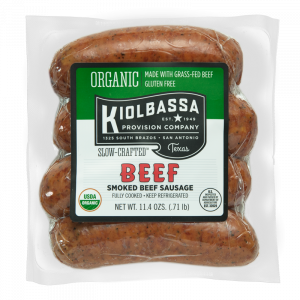 One taste of its zesty flavor, and you’ll understand. 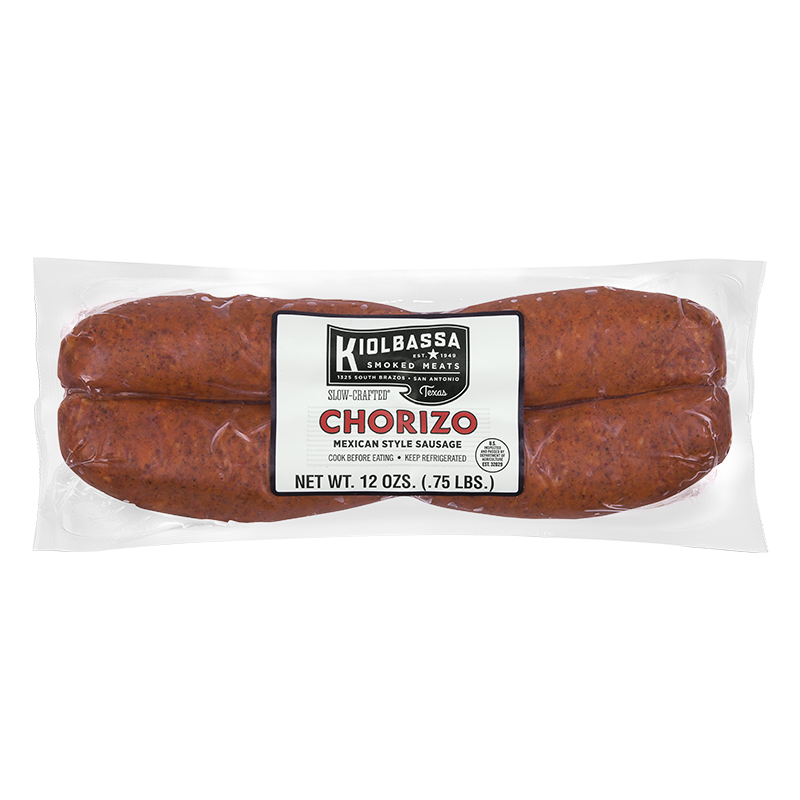 Kiolbassa Chorizo is the authentic pork sausage taste that’s legendary south of the border.